Casino games have their own set of lingo and terms that help define the games and guide players in discovering their winnings. Baccarat is one classic casino game that is loaded with terms and special lingo. And for casino enthusiasts and new players, it is important to pay attention to these sets of terms. Although it can be confusing at times to memorize the words and Baccarat lingo, understanding these words can spell the difference between satisfaction and boredom when playing the game! Here are some of the popular Baccarat words and terms that every player – expert or not – should know. 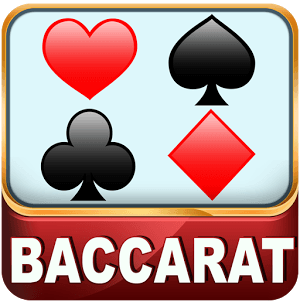 Baccarat: A card-based game where ‘9’ serves as the highest value. Also, the word ‘baccarat’ will roughly translate to ‘0’, a value that should be avoided at all costs when playing this card game. Banco: There are two meanings to this term in the game – it can refer to a situation where the player will bet all his cash, or may refer to the bank at the table. Banker and Player bets: The banker and player are two bets used in the game of Baccarat, with the last one called a ‘tie’. Bankroll: In many casino games including Baccarat, it refers to the total amount of money that a casino player is willing to play. Burning: Commonly refers to the discarding or removal of top 3 to 6 cards after the shuffle or before the start of play. Caller: A croupier or the person who works at the Baccarat table and handles the cards. Carte: Refers to a request of cards from the Baccarat dealer. ‘Chemin de Fer’: Also known in casino industry as the ‘Railroad’, this card variant is thought to be the original version of the game but now a rarity in casino circuit. This is still played in some European casinos but normally reserved for high limit casino players. In ‘Chemin de Fer, a player will assume the dealer and banker roles, and gets the bets. Commission: Refers to the 5 per cent ‘fee’ that the house or casino takes on the winning bank wagers. Croupier: In brick and mortar casinos, these are the professionals hired by casino operators who draw the cards for play. It is also called the dealer. Dealing shoe: It refers to the container that will hold all the cards to be used and dealt in the game. Game Supervisor: The official observer of the game that will ensure that all rules of Baccarat are followed and played. House Edge: In casino parlance, this is also known as the casino advantage, which may vary depending on the casino game. Traditionally, no game will give the favour to the player, but Baccarat will offer one of the lowest house edges in the industry. Le Grande: A hand with a value of ‘9’, the best possible in the game. Loss bet or fade: In the game of Baccarat, this refers to a wager against the bank. 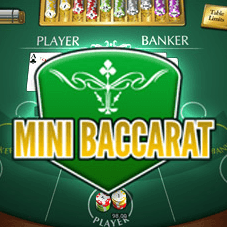 Mini Baccarat: A modern and popular version of the game where a smaller Baccarat table is employed with just one dealer and fewer seats. Many land-based casinos are now using the Mini Baccarat table, and this is often positioned on the main casino area. Palette: Wooden material used to move and deal the cards on the Baccarat table. Petite: Also considered a natural, but will only refer to natural cards with a value of ‘8’. Player: A potential bet in the game of Baccarat where house advantage is slightly over 1 per cent. Punto Banco: Literally means’ player banker’, now a popular version of the Baccarat now played in many casinos both in the United States and Europe. Shills: These are usually attractive girls that are employed to invite players to play at the table. Standoff: A situation when there’s a tie between the player and banker. Super Pan Nine: Another variation of the Baccarat game. Table of Play: Explains the rules to be followed if there will be a third card that will be dealt to the players. Tie Bet: A potential result in a game of Baccarat. It has the highest house edge but will also offer the largest payouts among the three potential results.